CollageIt Pro is an easy-to-use photo collage maker for Mac OS X & Windows, which makes collage automatically. In a matter of seconds, this collage software can turn any ordinary photos into impressive collages. It has a free version too which has some limitations, splash screen, no photo cropping, no large size collage export and no free lifetime support. There is no need to make any manual adjustments since this collage editor can create photo collage automatically with just a few mouse clicks. It is easy enough for the users of all experienced level. Choose the collage layout with various collage templates or create picture collage on Mac OS X & Windows with blank one. Many kinds of pre-designed templates included, users can select a style at their will. Various collage layouts can be found in the templates. Easily design your picture collages with variable parameters provided, such as photo count, photo space, page margin, rotation and sparse. Cropping photo is available so that the photos in the collage can fit well into the chosen collage space. “Random Layout?can continuously generate all kinds of collage layouts in seconds by just a click. Save the collages as JPEG, PNG, PDF, PSD or other images formats and print it out. Send it to family members and friends via Email. CollageIt Pro free version is available in the following link. Pro version is available after entering serial in the free version. CollageIt Pro for Windows (Personal): Use Coupon Code PM30CP ; Use this link. CollageIt Pro for Windows (Commercial): Use Coupon Code PM30CP ; Use this link. CollageIt Pro for Mac (Personal): Use Coupon Code PM30CP ; Use this link. 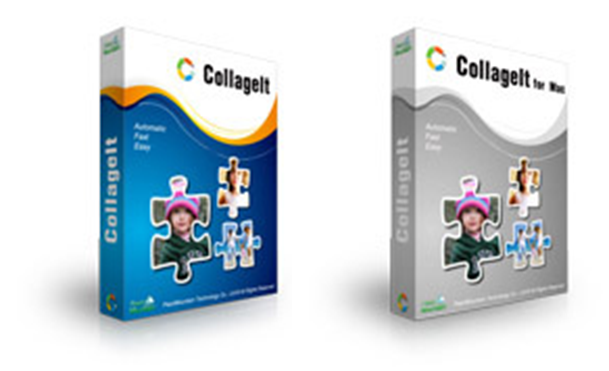 CollageIt Pro for Mac (Commercial): Use Coupon Code PM30CP ; Use this link.